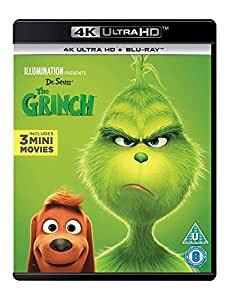 Amazon's Choice for "grinch 4k"
Living atop Mt. Crumpit and choosing only his dog Max for company, the delightfully wicked Grinch was born with a heart two sizes too small. His disdain for his neighbors down in Whoville is magnified every Christmas season when he is forced to endure their enthusiasm for togetherness, generosity and, worst of all, joy. 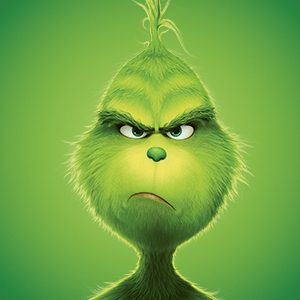 But after 53 years of lonely and miserable holidays, the Grinch finally has a plan to make this season bearable: He’s going to steal Christmas! 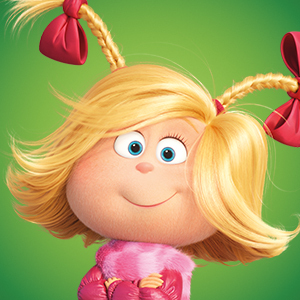 Cindy-Lou is an energetic, hopeful, young Who with a firm belief in the spirit of Christmas. Looking for a way to show her loving, overworked single mother just how much she admires her, Cindy-Lou decides that this is the year she will finally meet Santa Claus so she can ask him to help. With the assistance of her best friends, a foolproof plan, and her relentless persistence, Cindy-Lou sets out on her biggest adventure yet - to trap Santa! And no cynical, scheming Grinch will stop her. Roped (quite literally) into the Grinch’s plans. 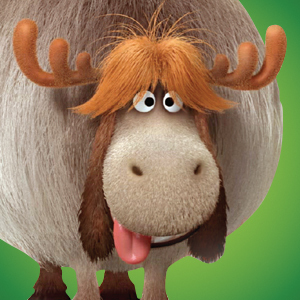 This chubby misfit becomes an unlikely member of the Grinch and Max’s unconventional family. 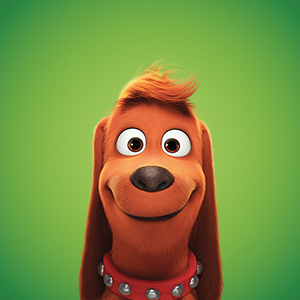 At first a troublemaker, Fred begins to grow more comfortable in his new home as the Grinch comes to see him as a fellow outcast who has been ostracized by his herd. The Grinch’s closest neighbor, Bricklebaum is everything the Grinch is not: joyful, kind and full of holiday spirit. 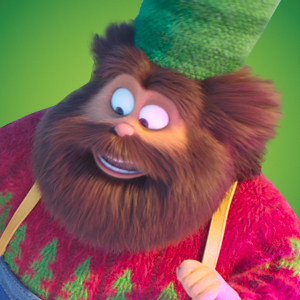 When the Mayor issues a decree to make Christmas “three times bigger,” Bricklebaum is the most enthusiastic and happiest Who to comply, even going so far as to try and convince the Grinch to join the festivities. 4.0 out of 5 starsWILL THE GRINCH REALLY STEAL CHRISTMAS ? myself wasn't a fan of the Jim Carey movie, though of course many were, so when a friend mentioned this release as a great family movie seen in the cinema, I had to check it out with Grandchildren in mind. Christmas is coming, the anticipation builds in the town of WhoVille, the Who's are joyous. However, living alone on the hill overlooking the town with just his dog Max for company the Grinch cringes at the prospect of what would occur in just a few days...he hates Christmas because of what had been when a child. Can the Grinch really steal Christmas or will his heart melt as Scrooge's did? A colourfull animated movie that youngsters will love, joyous Christmas fun. We didn't see this at the cinema but bought it for our 8yo goddaughter. She absolutely loves animated films but was bored in around twenty minutes. I found the film to be soulless, lacking in any charm, but with excellent animation (and the 3D was very good indeed). The colours are very vibrant, but that doesn't make up for the very "beige" and bland Grinch. I also find "Illumination" films to be VERY noisy. Stick with the Jim Carrey version or, better yet, the original animated film with Boris Karloff. I never really liked the original but this film is fantastic. I will definitely be watching this again, I loved how they use the line of a single mum but I also love the similarities they kept to the other film. This is a must have for the film you watch Christmas eve with your family . 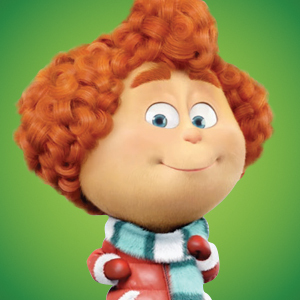 My Son like me loves this film. We watched this version at the cinema and I thought it was only fair to purchase him a copy when it was released on DVD. We love it. I prefer the previous release from 20 years ago but that’s me I would thoroughly recommend this take on the story though. The most disappointing of the Illumination movies. Not that funny. Not very engaging. The animation is cute and colourful but that's to be expected.